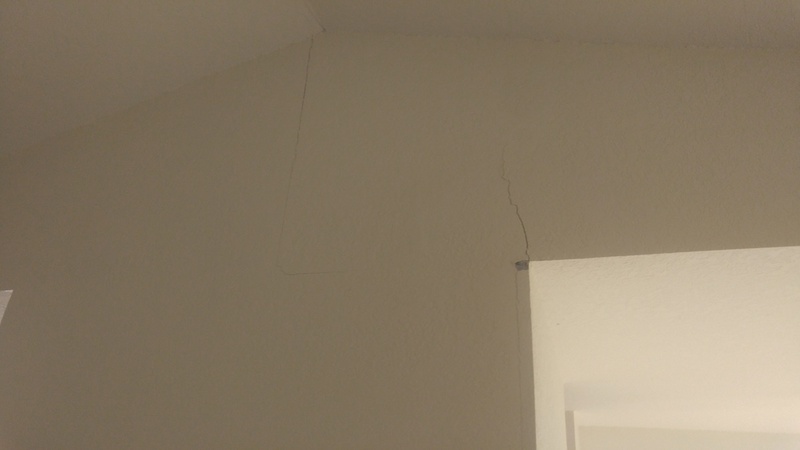 ForumsArrowRehabbing and House FlippingArrowWall/ceiling cracks? Just looked at a HUD property today and noticed the attached cracks in the ceiling/walls. Without going too deep, does this look like a structural issue to you? Roof appears to be new(er). House built in mid 90s. Could just be settlement cracks which are normal. You may need a contractor to look by the rafters to get a more informed opinion. No, no, no...I see these all the time in properties...houses and foundations move and shift over time...in my area, for example, all of our floors are sloped because of settling and foundation movement...no big deal...have a contractor look at them if it really bothers but I would say look at the HVAC/electrical/plumbing/sewage in the basement (I've had that in one of my properties)/those type of critical issues...those are way more important than cracks in the wall...just my opinion BTW! All those cracks at the corners are the drywall corner bead popping loose, which probably just means it wasn't attached properly. The other straight-line hairlines on both the ceiling and walls are likely the drywall seams that have flexed a bit due to the house settling, and seasonal shrinking and expanding from temperature changes. Same for the diagonal cracks. If all the doors and windows fit and close properly, I doubt you have any serious problems, and after twenty years, the house is probably mostly done settling. I agree with Jeff Berg . I used to be a structural engineer before my days as a contractor and we would get calls about this stuff all the time. 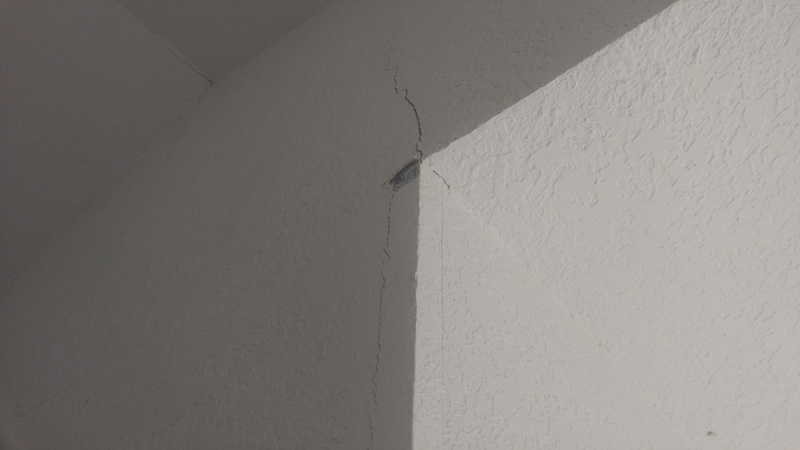 Drywall cracks pretty easy, so with the slightest movement it will crack. Most homes at some point settle at least a little due to shrinkage/expansion. Now, if you have plaster walls then that is a different story. It takes a lot of movement for plaster to crack, so if that does happen then you need to get somebody to look at it for you. I strongly disagree with the previous comment that states to basically never worry about cracks and uneven floors. It depends on the type of material and the type of crack/settling to determine whether it should be address or not. Sometimes floors are uneven because the joists that support the floor underneath are rotted, so you have nothing supporting the load on that area. Yes, most times it's not a big deal, but please do not generalize like that. Thanks a lot, everyone. The doors seemed to have shut properly. If this is just a drywall issue, how much (ballpark) would I be looking at shelling out? 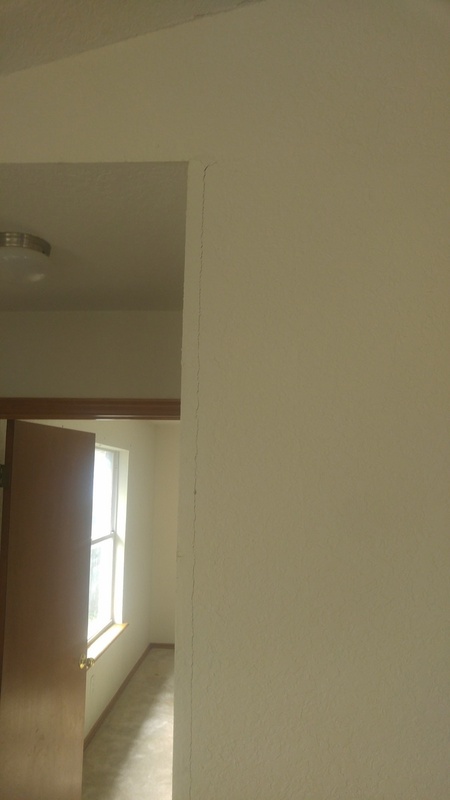 Could the cracks just be filled in, instead of removing/reattaching new drywall pieces? Thanks again. 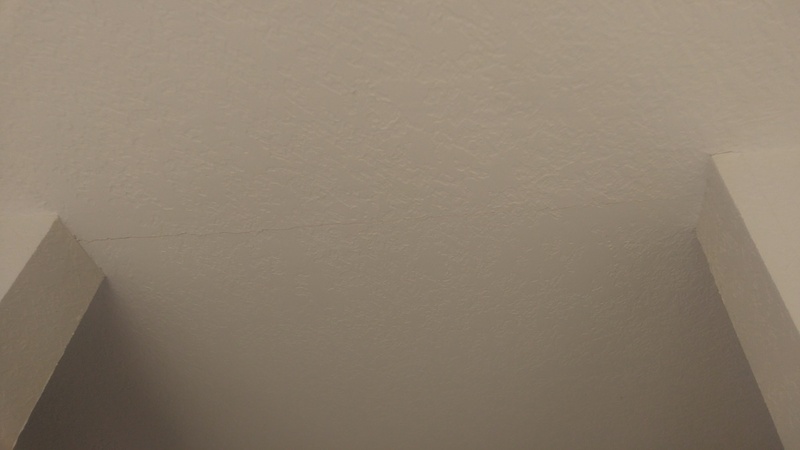 Victor - All the wall and ceiling hairlines can be easily patched. There are a number of methods to reattach loose corner bead, but you MIGHT need to replace it, but that's not a big deal. The difficulty in all of these minor repairs is matching the existing finish texture. You don't want a mini-speedbump of drywall mud (joint compound) over the crack. It takes some experience and skill to finish it so it's barely noticeable. Find either a very well-seasoned drywall guy, or a good handyman who specializes in matching texture... don't hire just anybody who tells you it's easy. It IS easy, IF you know what you're doing. Otherwise, you'll end up with a patch that looks worse than the crack. As far as cost, it's almost entirely labor, which varies wildly from area to area and impossible to guess, but it's not a big job so not a lot of hours. That said, once again, don't hire the cheapest guy just to save a few bucks, and end up with a new, very noticeable, cheap-looking ugly repair that everyone will notice. Pay a pro to do it right. Bottom line, nothing serious, don't let it get in the way of buying the house. looks like a horrible drywall job. The corner trim wasnt even mudded. And rattled loose. Wonder, if that one entrance way board of the framing isnt loose too. Hence, the other entrance way cracks?